Whether you like it saucy, spicy or meaty, you can count on Lee Kum Kee Char Siu sauce to add flavors to your meat! 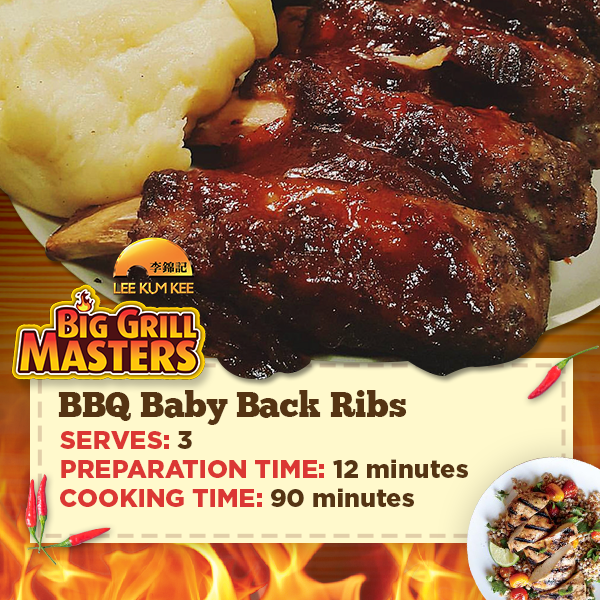 Try this BBQ Baby Back Ribs recipe in your next BBQ Grill nightout! 1. Rub salt and pepper on the baby back ribs. Let stand for 15 minutes. 2. Rub the Worcestershire sauce and ¼ cup of Lee Kum Kee Char Siu sauce. Refrigerate for 30 minutes to 1 hour for the meat to absorb the flavor. 4. Place the slab in a covered oval roaster. Bake for 90 minutes. 5. Remove the cover and then brush the remaining Lee Kum Kee Char Siu sauce over the baby back ribs. 6. Increase the temperature to 410 degrees Fahrenheit. 7. Put-the uncovered roasted back in the oven and bake for 10 to 12 minutes. 8. Remove from the oven and then transfer to a serving plate. 9. Serve hot. Share and enjoy! Serves 3.